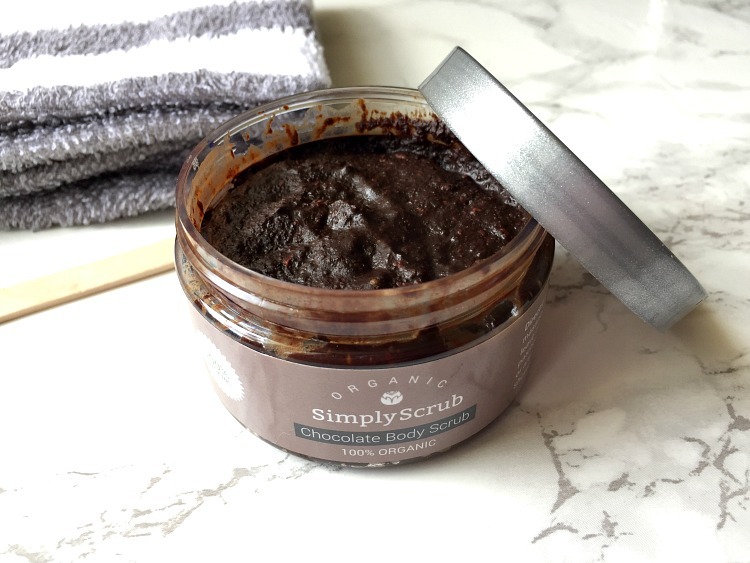 SimplyScrub Chocolate Body Scrub- Using this chocolate scrub on your body is just as sweet as it sounds. 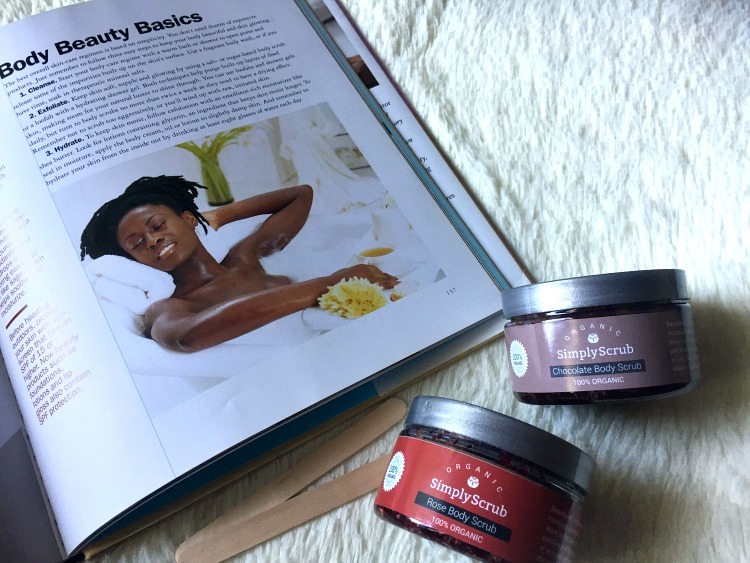 The Chocolate Body Scrub is formulated with Cocoa Nibs, Cocoa Butter, Shea Butter, Brown Sugar, Vitamin E and a host of nourishing oils. I scoop just a small bit of product by hand and rub it all over my body, paying close attention to my elbows, knees, and feet. And not only does my skin feel like butter to the touch, I smell like a snack when I leave the shower! Applying this thick and creamy scrub on your skin is one of the most gratifying feelings ever. Not only am I pampering my skin with one of the sweetest indulgences I can think of, I'm nurturing it with antioxidants. Who doesn't like the idea of updating their body care with something this satisfying and beneficial? 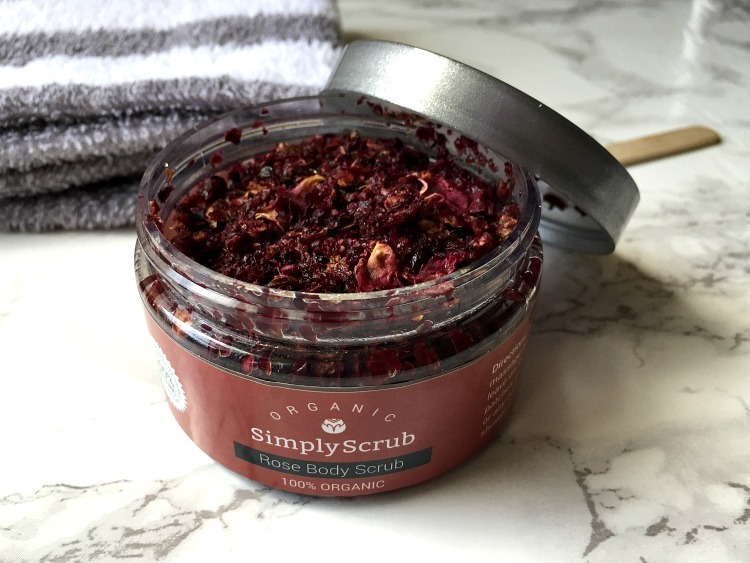 SimplyScrub Rose Body Scrub- The Rose Body Scrub grabbed my attention instantly because I love incorporating this fragrant floral into my body care. Not only do roses produce an inviting aroma, the petals contain tone-evening Vitamin C as well as antibacterial properties. The Rose Body Scrub also contains rich oils like avocado, sweet almond, coconut, and jojoba. All of these skin-soothing oils combined with moisturizing Shea Butter make this scrub just right for me. I rub it gently into my skin, as the texture of rose petals take some time to get used to. Unlike the typical sugar and salt scrubs I've used, the loose, choppy petals have a tendency to stick to my skin. And long after rinsing the scrub away, my skin feels soft and appears to glow without moisturizer. Using these body scrubs have been a treat for my skin this season. In using them both, I've been able to keep my skin smooth and moisturized throughout the day. And I'm so impressed by the fact that I don't have to slather on bottles of lotion after using them. The packaging is nice and sleek, and the containers fit well into your purse or overnight bag. 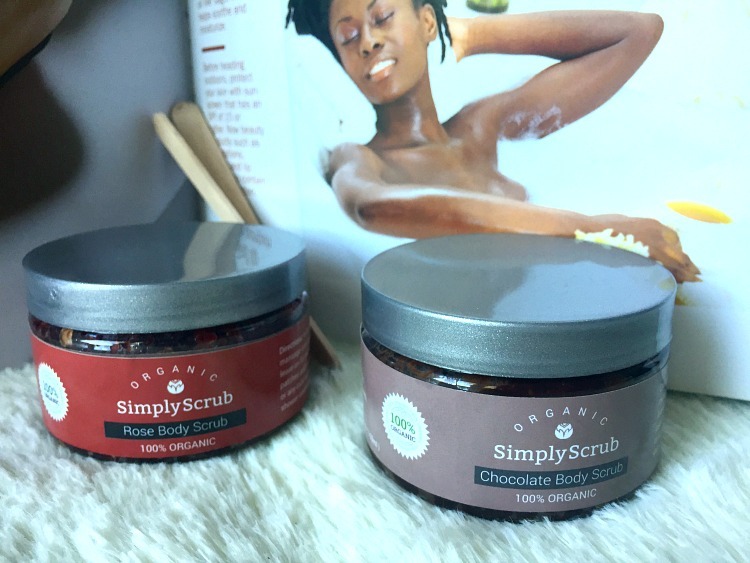 To get more familiar with these products and/or purchase, be sure to check them out over at SimplyScrub. They're currently giving new subscribers 10% off and free shipping, so head over while this offer is on the table! 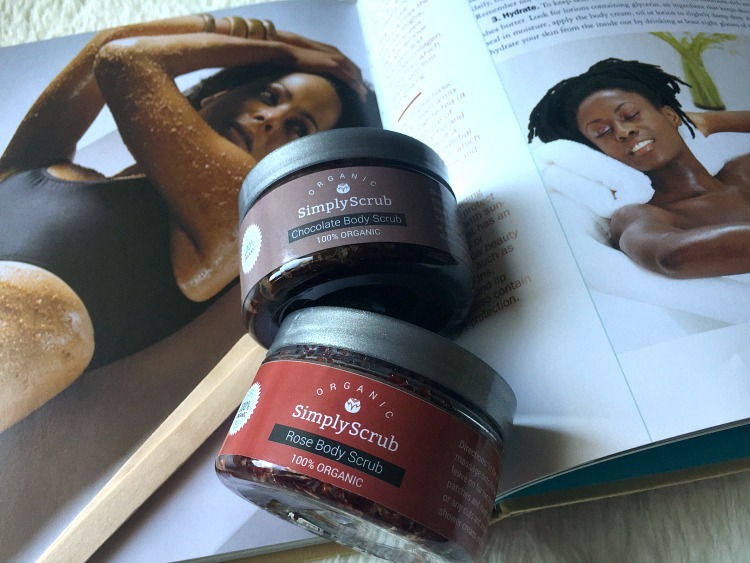 Are you familiar with SimplyScrub Organic Body Scrubs? How do you update your skincare when seasons change? This product was sent to me to review by SimplyScrub. However, the content and opinions expressed here are all my own. To read more about my disclosure policy, click here.